Who is Fancy Lily ? Lila on my ID, and Lily for friends and family. I am 22, and I’ve been living in Paris since I exist, basically. Photographer and graphic designer, I’ve been working in fashion for 3 years now. I live with my boyfriend who is almost 10 years older than me, with whom I share my passion for crafts and DIY and is a precious help to make this blog live day by day, and our dog Joey, my little domestic hyena that I sometimes call my spiritual son and who follows me around in all my peregrinations and more or less interesting adventures. And what is Fancy Lily, then ? I started Fancy Lily at the end of 2011. Back then, I was a fashion blogger only, and ended up dissatisfied with the way things were and the image I was reflecting which I felt was not true to me. 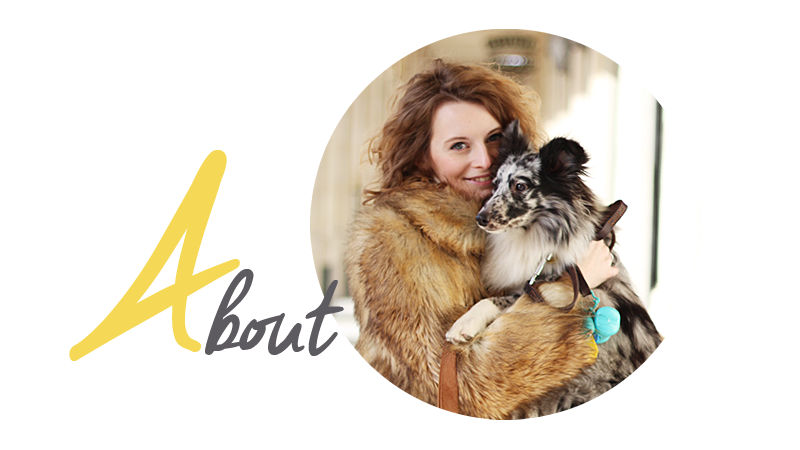 I finally decided to start fresh with Fancy Lily and restructure the whole blog. We will still be talking about clothes, of course, but also about beauty, DIYs, home decor, recipes, travels, boy things, girl things, dog, cat and pony things, pointless things and less pointless things, anyway, anything that can inspire me and, I hope, will interest you too and will bring you some daily dose of positive thoughts !